All Mac computers and iOS devices including iPhones and iPads are affected by chip security flaws that were revealed this week. There are no known exploits impacting users however. One vulnerability is known as “meltdown” and a recent software update for iPads, iPhones, iPod touches, Mac desktops/laptops and Apple TV boxes would mitigate this. The Apple watch is not affected. Immediate concerns were focusing on whether this would slow down devices even further – not great news after the recent revelation on battery performance of iPhones. Apple are due to release an update to its Safari web browser over the next few days to help protect against another security flaw known as “Spectre”. On Wednesday, Intel confirmed a report stating that its semiconductors contain a vulnerability based around a chip-processing technique called speculative execution. 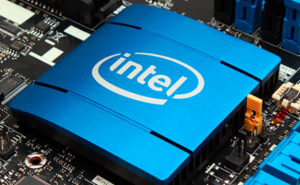 Intel said its chips, which power Macs and devices from other manufacturers, contain the flaw as well as processors based on ARM Holdings architecture, which is used in iOS devices and Android smartphones.